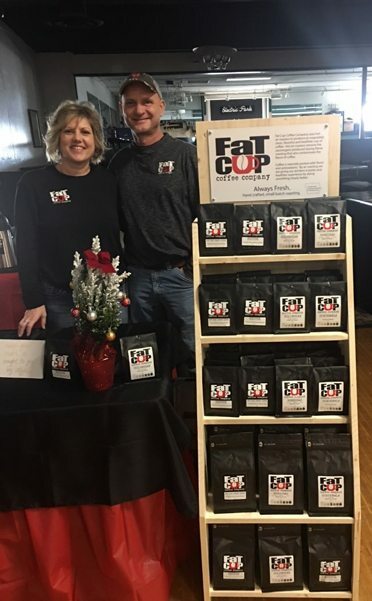 Fat Cup Coffee Company is proud to be locally-owned and -operated in Waterloo, Iowa. 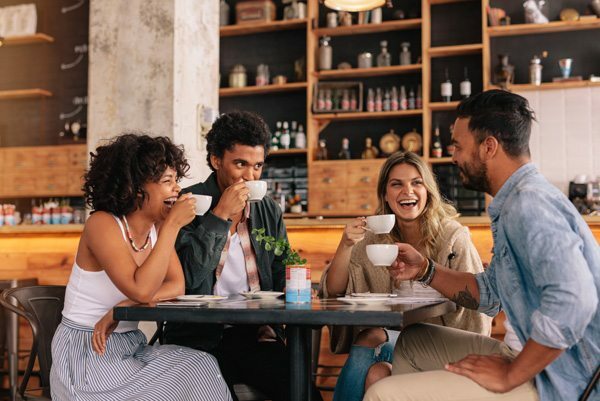 This family environment, and our commitment to brewing unique, flavorful, and more-natural coffees, is what makes each cup of Fat Cup Coffee Company something better. Keep reading to learn more about our specialized brewing process, our fresh-roasted coffees, and our dedicated Fat Cup team. As Waterloo, Iowa natives, we have been blessed with opportunities in life to experience the coffee roasting industry from up close. In Ryan’s past career, he worked directly with coffee roasters all over the country and during that time we developed a passion for good coffee. The day came when Ryan was spending too much time away from his family and hotel rooms were the norm. A life change was in order. We purchased our first coffee roaster in March of 2017 and began home roasting. And, with great success (thanks to all our Fat Cup fans). One thing has led to another and we now have a small coffee roasting company with an ever-growing, repeat customer base, including local retail and wholesale. With the help and support of many we also have our own shop. Whether you visit our website, follow us on Facebook, or visit us in person at the Fat Cup Coffee Company Roastery & Coffee Bar, we would be pleased and grateful for you to join us in our adventure of providing you with good coffee! From our family to yours—we wish for you good coffee. P.S. Ryan is home every day and hotels are now part of a vacation. Life is good! At Fat Cup, we have passion for what we do, and it shows in how much we care about the coffee, the process, and the end result: an enjoyable cup of coffee. 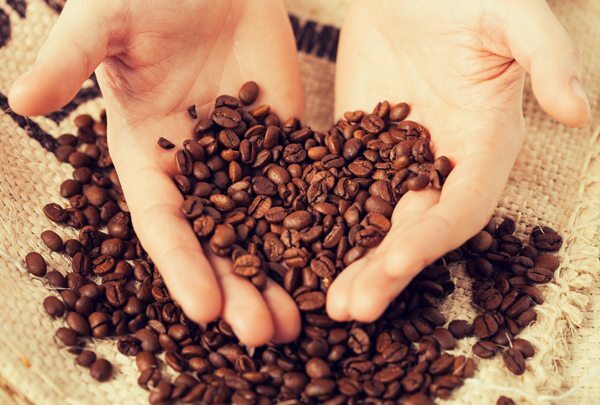 We produce the best cup of coffee we can by sourcing quality green coffee beans from around the world, and we develop roast profiles that give life to the coffee, helping us make an array of complexions that are sure to please. We also use a precise packaging process to ensure that product quality is preserved for maximum freshness, and we roast in small batches to ensure hand-crafted quality and absolute freshness for every batch, including on-demand orders. Fresh, fresh, fresh is what it takes to ensure the perfect coffee experience, and that’s what sets Fat Cup apart. To taste the difference for yourself, click here. In addition to using quality beans and outstanding packaging, great coffee also means following a dedicated brewing process for each blend. At our roasting facility in Waterloo, Iowa, Fat Cup Coffee Company uses a Coffee Crafts® Artisan Roaster, manufactured here in the U.S. in Liberty Lake, Washington, to achieve our signature taste. Through hot air roasting, we remove all the natural debris and chaff that coffee produces during the roasting process. Typical gas flame roasters used by 99% of all micro roasters trap this debris and chaff in the drum and burn them up, creating the potential carcinogenic build-up in and on the coffee bean, which also contaminates the coffee’s natural flavor—leaving you to potentially drink these contaminates with each cup. By hot air roasting, we remove that debris and chaff to reduce contamination from burned-up matter and produce a cleaner, more-flavorful and better cup of coffee. For more information about hot air roasting versus gas flame roasting, click here. Fat Cup also uses the right equipment to ensure quality throughout the brewing process. We began with an Artisan 2.5 machine that has outperformed our expectations, producing 3-lb. batches and turning 15 lbs. an hour. This machine is the backbone of our roasting process and the instrument that allows us to provide such clean and fresh coffee. As Fat Cup Coffee continues to grow, we plan to upgrade to an Artisan 9 in the near future, and we want to thank all of our loyal customers, who love Fat Cup’s fresh, flavorful taste. Once you try Fat Cup, we know you’ll agree! Do you want fabulous coffee? Do you want fresh coffee? Do you want clean coffee? Do you want better coffee? If you answered any of the above with a YES, then you want Fat Cup coffee! Click here to explore our great products and gear.